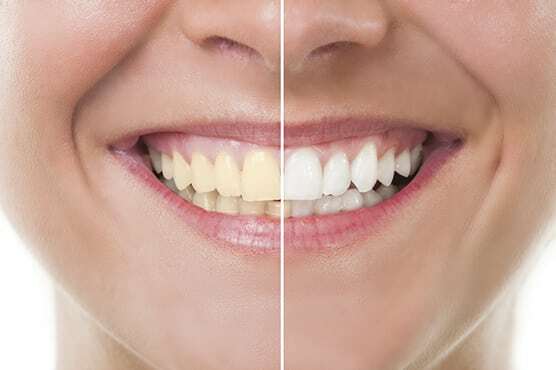 Over time teeth can grow dull and discolored for a number of reasons. 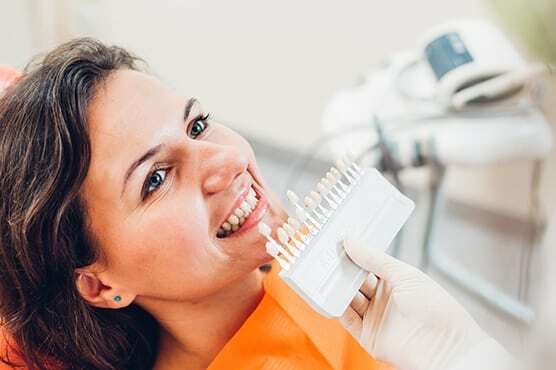 Blackman Grove Dental offers several teeth whitening options to brighten your smile. Age. As the outermost enamel layer grows thin with age, the yellowish dentin underneath begins to show through. Food and drink. Things like coffee and tea tend to stain enamel over time. Smoking. Another good reason to stop smoking. Not only is tobacco use unhealthy for your mouth, esophagus, and lungs – tar and nicotine stain your teeth. Medications. Some medications, especially some antibiotics and chemotherapy drugs, can cause tooth discoloration. Children exposed to some antibiotics while their teeth were forming may have discoloration of their adult teeth.